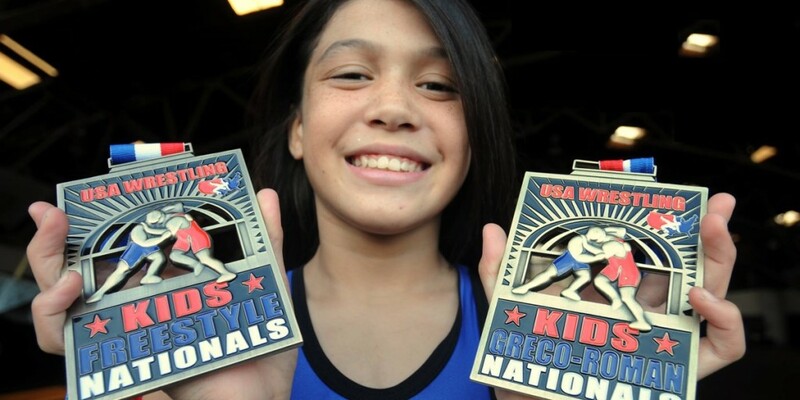 An award-winning documentary about a Hawaii teen athlete who chased her dream of competing nationally in both judo and wrestling will get its local premiere, four months after it debuted nationally. As reported here in May, “Winning Girl” aired on the World Channel as part of its “America ReFramed” documentary series. But no cable providers in Hawaii carry the World Channel, and filmmaker Kimberlee Bassford of Making Waves Films was unable to find a local broadcast partner, even though the film was supported in part by Pacific Islanders in Communications. Even back then, though, Bassford thought that Oceanic and its “100 percent local” OC16 channel would be a good fit. Sure enough, this Sunday, Sept. 20, “Winning Girl” will get its Hawaii television broadcast premiere on OC16 at 7 p.m. The film, which was re-introduced to Honolulu at a screening on Friday, follows youth athlete Teshya Alo from age 12 through 16. Alo, a Kamehameha Schools student, competes in two sports at the same time, juggling intense training and schoolwork, and dealing with puberty on top of it all. We see Alo beat boys and compete with women twice her age, and her whole family rallies to support her dream, despite the costs of traveling to mainland and international events. “Winning Girl” won the Special Jury Award for Documentary Feature at this year’s Los Angeles Asian Pacific Film Festival, and was nominated for the festival’s Grand Jury Award for Best Documentary Feature. This after it’s world premiere last November at the Hawaii International Film Festival. For more information on “Winning Girl,” visit the Making Waves Films website, follow the company on Facebook, or follow @MWFDocs on Twitter.